Deckenplatten were first introduced for the observation bunker type 519 in 1939. The 10cm thick 7P7 plate for machine gun was flipped and served as a roof. 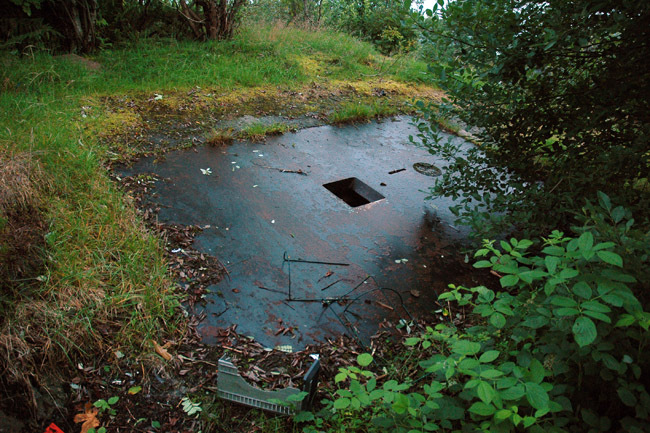 In the Atlantikwall Deckenplatten were widely used to lower the silhouet of bunkers. Examples are the 601 Pak garage, 615 and 627 artillery observers and the Pak casemates 626 and 700. They were also used on Vf bunkers and Sonderkonstruktionen. A lot of artillery observers (both 627 as Sk) can be found in the Festung La Rochelle. The Deckenplatte was also used a lot on the Channel Islands primarily on Vf bunkers but also on a locally used design for a Pak garage. 7P7 plate prepared for a modern combination plate for MG with Winkelfernrohr, but used as Deckenplatte for an artillery observation bunker 615.